Believe it or not, not everyone has to file income taxes for each year. Generally speaking, if you have a total income for the year that does not exceed what the standard deduction is plus a single exemption, and you are not another taxpayer’s dependent, you are not obligated to file your federal income tax return. You should also know that the amount of income that you are able to earn before you need to file a return will also depend on your age, the kind of income, and what your filing status is. Every taxpayer is eligible to claim what is known as the standard deduction. If they are not the dependent for another taxpayer, they will also be able to claim one exemption along with the. The amounts for the deduction and the exemptions are at a fixed rate set out by the federal government prior to the tax filing season, generally increasing for inflation purposes each year. Someone who is at least 65 years of age or older and receiving social security during the year will be subject to the same requirements for filing as another taxpayer. the exception will be if you are married and filing a separate tax return than your spouse that you resided with during that year. Any taxpayer that is claimed on someone else’s return as a dependent will be subject the filing, whether it be a child or adult. A dependent is not able to claim an exemption of their own, so a tax return will be necessary if they have earned income that is greater than the standard deduction of a single taxpayer. 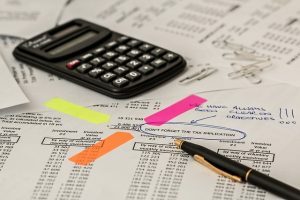 If you have any questions as to whether or not you have to file income taxes for the upcoming year, you can consult an LA tax professional law office to give you some insight.